Help us break the silent chain of body part trafficking NOW! In February 2015 in Geita, Tanzania, a one year old boy called Yohana was snatched from his mothers arms’. The attackers came in the middle of the night and took Yohana away, leaving his mother badly injured by a machete as she tried to protect him. Yohana’s completely dismembered body was found several days later buried in nearby corn field. The stories of gruesome incidents go on and on in many parts of sub-Saharan Africa. This is a pan-African human rights crisis. In many countries in Sub-Saharan Africa, people with albinism are living in horrific conditions, where their most fundamental human rights, ashamedly including – The right to life - has been denied. They are hunted and brutally murdered because of a distorted belief : That possessing and using the body parts of people with albinism in witchcraft-related rituals will bring you luck and Wealth. This superstition is fuelled by witchdoctors who are allegedly using their body parts for making “medicine with supposedly magical powers”. Even the graves of people with albinism have been dug up in search for bones. Since 2006, the official records say that at least 450 people with albinism have been killed, violated, or badly injured, but the actual number is believed to be much higher, as bodies are mostly dumped in the woods and not found. Victims just go “missing”, this is possible as the local superstition label them as “Ghosts”. Albinism is a genetically inherited condition that affects the production of Melanin, the pigment which colours skin, hair, and eyes. Countries like Tanzania have one of the highest birth rates of people with albinism, 1:1,400, while it is 1: 20,000 in Europe. Melanin deficiency causes complex visual impairment, as well as eliminating natural defences against the sun damage which causes a heightened risk of skin cancer. In tropical African countries such as Tanzania, many people with albinism are not able to live longer than 40 years due to skin cancer, which could have been easily prevented by having access to skin protective measures against the sun. Raising awareness on skin cancer is crucial for people with albinism in the African continent. They are also regarded as ghosts, many with limited social incorporation into society as they suffer terrible abuse and discrimination. There is said to be a lucrative black market where bodies of people with albinism are being trafficked and sold. This problem is deeply intertwined with African superstition and poverty. Low conviction rates of the perpetrators is a big part of the problem. In Tanzania, the government has cracked down on more than 200 witch doctors and created shelters for children with albinism. Although they need protection, they are uprooted from their families and friends and increasingly becoming internally displaced – refugees in their own country. It is high time that this issue had immediate international attention to bring the brutal killings to an end. Protection is needed, but fighting against its root cause is absolutely essential to have a sustainable solution. Raising awareness for the demystification of albinism is the key. however, changing the culturally-embedded mind-set of so many is a long process. This deadly myth cannot be combated only by people with albinism. Consolidated political efforts are crucial. People with albinism have the right to health, right to education, but above all, right to life, as is stated in the UN Universal Declaration of Human Rights. Let us unite to create an influential voice to advocate the rights of people with albinism. This horrific act of hunting and killing of this marginalized group of people must come to an end NOW! Attacks against people with albinism will never be justified and the belief that an individual can become wealthy or lucky by taking another person’s life needs to be stopped Now! We call on the African Union and all the Sub-Saharan African governments to pledge their utmost commitment to this human rights crisis and form a united front for combating these acts of terror. 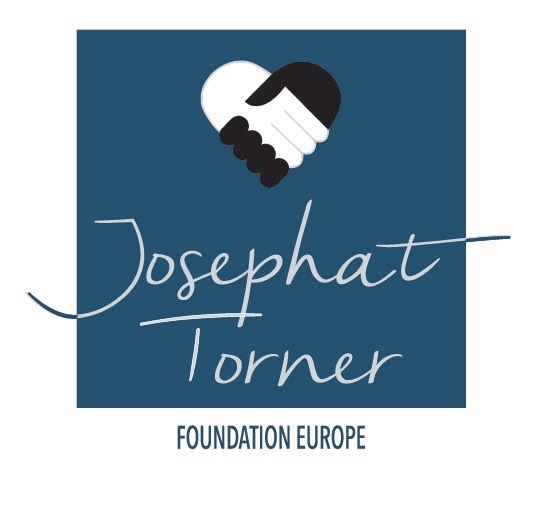 Please sign the petition organized by The Josephat Torner Foundation Europe. This petition will be presented to the African Union and Sub-Saharan African countries governments in october 2019.